Join us for a FESTIVAL of fandom July 25-28 at the Raleigh Convention Center. Meet Celebrity and Creative Guests from Comics, Movies, TV, Science Fiction, Fantasy, Anime, Cartoons, Video Games, Wrestling and more! 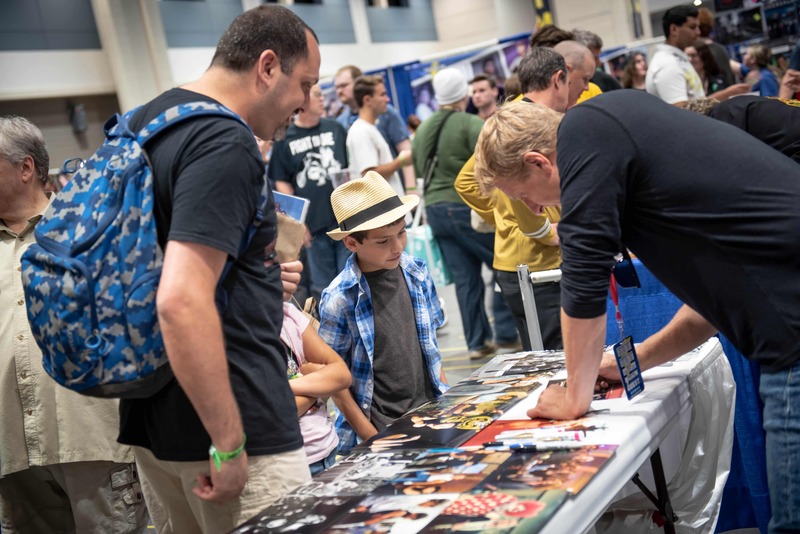 GalaxyCon features over 300 hours of programming over 4 days with Q&As, workshops, costume competitions, burlesque, comedy, film screenings, tournaments & more! In our Exhibition Hall, you’ll find one-of-a-kind items from celebrities, artists, writers, and vendors from all over the galaxy. GalaxyCon is hard to put into words, so we made this video to show you how much we enjoy having you at the event each year! AUTOGRAPHS OR TABLESIDE PHOTOS "SELFIES"
You can walk right up to a celebrity's booth to purchase an autograph or selfie from their handler. The top celebrities at our event will be available for photo ops with you during scheduled sessions with a professional photographer. These are sold online and at the event. Many of our celebrities who appear on Friday will also attend the VIP Cocktail Party. A VIP Pass also helps you skip the autograph & photo op lines.